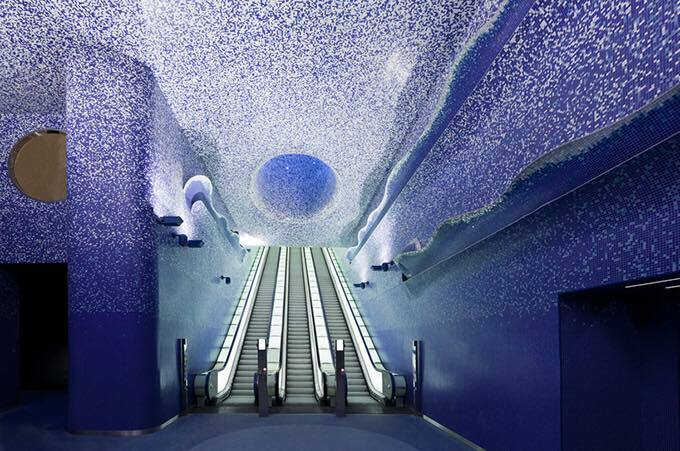 Considered one of the most beautiful subway stations around Europe, the Toledo station is the 13th Art Station of the Naples Metro system, designed by the Spanish firm of architect Oscar Tusquets Blanca. 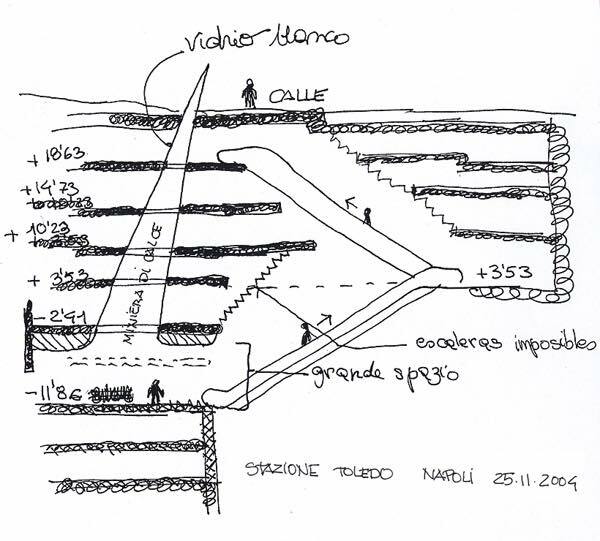 The Toledo station is one of the deepest in the line at 50 meters, and it is themed around water and light. 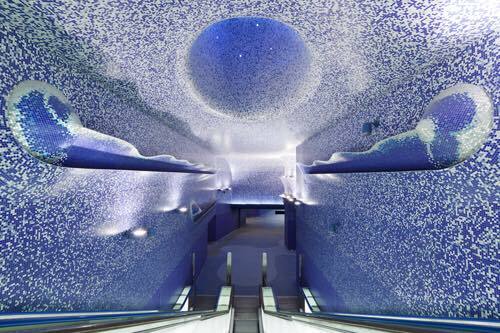 The art of the station, curated by art critic and former Venice Biennale director, Achille Bonito Oliva, includes two mosaics by the South African artist, William Kentridge, as well as Light Panels Robert Wilson and works by Francesco Clemente, Ilya and Emilia Kabakov, Shirin Nehsat and Oliviero Toscani.